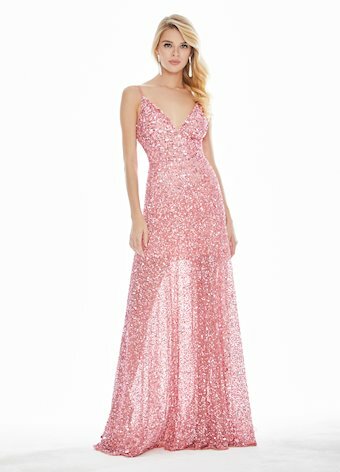 Dazzle in this fully sequin beaded A-line evening dress. The bustier has a V-neckline and spaghetti straps. The beaded skirt flows to the floor while the jersey lining stops above the knee.